© KieferPix - Shutterstock, Inc. The Philippines has many reasons—ranging from its geographical position in the path of frequent typhoons, its heavily populated, low-elevation areas, and its economic dependence on natural resources, to its sizable population living below the poverty line—to be concerned about a changing global and regional climate. Working with the Global Green Growth Institute (GGGI), the Philippine National Climate Change Commission (CCC) and collaborators in several local jurisdictions carried out a series of municipal-level adaptation planning efforts called “Ecotown” projects (Phase 1). The second phase of Ecotown projects, carried out in coordination with authorities at the provincial level, calls for the implementation of adaptation planning for several Philippine provinces, but with an emphasis on incorporating climate change adaptation and climate resilience to economic development planning, and vice versa. In order to guide planning authorities in Philippine provinces, and the national CCC staff working with them, in carrying out Phase 2 Ecotown projects, GGGI has commissioned this Framework Document* to provide a systematic, but flexible, approach to the incorporation of adaptation planning together with economic development planning so as to produce climate resilient green growth (CRGG or Ecotown Phase 2) plans addressing multiple environmental, social, and economic goals. Building on the considerable literature for climate change adaptation planning in general, and in particular on the literature covering the inclusion of economic development goals in climate adaptation planning (and vice versa), the Framework* has been designed to guide inclusive, consultative CRGG planning efforts at the provincial level in the Philippines. Although it is designed with Philippine provinces in mind, this Framework* is also intended to be applicable, with modifications to suit local needs and resources, in other countries at the national and sub-national (including state, provincial, and municipal) levels. *the full CRGG Framework can be downloaded from the right-hand column or via the links provided under futher resources. CHAPTER 1 provides an introduction to combined climate change adaptation and economic development planning in the Philippines, including a brief review of some of the opportunities, challenges, and benefits associated with linked adaptation and economic development planning, a summary of previous Ecotown activities, a presentation of the goals of Phase 2 of Ecotown, and a sampling of implementation mechanisms for climate adaptation options. CHAPTER 2 reviews some of the issues associated with climate change and economic development planning in the Philippines. CHAPTER 3 provides a summary of the literature reviewed in the preparation of the CRGG Framework; a more detailed version of the literature review is provided in Annex B to this Report. This Framework is designed to integrate climate adaptation and economic development considerations, but also to include consideration of goals such as poverty alleviation and the improvement of social equity. As such, The CRGG Framework is designed to be a participatory, systematic, and objective process for climate proofing of local development plans to address local development priorities considering the impacts of climate change, underlying trends in local economic growth, and effects on community welfare. CHAPTER 4 describes in detail the CRGG Planning Framework developed by the Project Team. As summarized in Figure ES 1, below, the CRGG Planning Framework is composed of seven steps organized into three “stages”. CHAPTER 5 provides brief conclusions and recommendations based on the developed Framework. 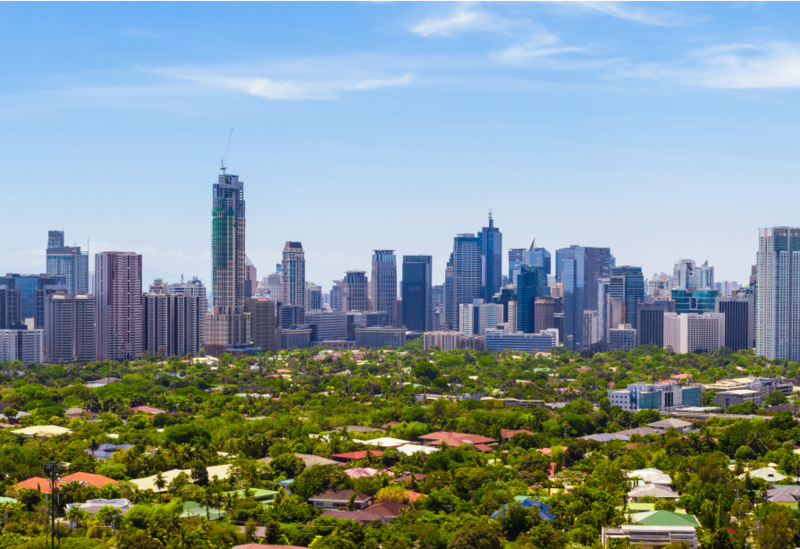 Adaptation planning in the Philippines and elsewhere will likely, in the future, involve coordinating the introduction of measures designed to reduce GHG emissions, often described as “mitigation” options, with those designed to adapt to climate change. Although adaptation planning has been the focus of the CRGG Framework development effort describe in this Report, there are, as noted in many of the chapters below, many instances where synergies may exist in terms of both processes and analysis that would allow mitigation and adaptation planning to be conducted in a coordinated and mutually-beneficial manner. Start-up and Data Assembly includes three Steps. Step 1 involves mobilizing for Ecotown Phase 2 activities, including identifying lead planning organizations and Planning Project Team members; setting of planning objectives, determining the staffing, budget, schedule available forthe planning effort, organizing stakeholderinvolvement, setting key planning parameters (such as the planning timeline and start-year), and setting up a Project Secretariat. In Step 2, the goal is forthe Provincial CRGG Project Team to conducting a rapid assessment of the available data used to inform the planning effort. This work includes researching and assembling a provincial profile, focusing on the collection and organization of statistics from the Provincial Development and Physical Framework Plan (PDPFP) and other available statistical compilations, compiling climate projections based on available “top-down” climate modeling data applicable to the province, characterizing the natural asset base (summary, again, from available statistics), and identifying local development plans and trends based on the PDPFP, economic trends and poverty incidence patterns shown in available statistics, and key private sector plans. The third and final step of Stage I, Step 3, involves identifying current provincial development paths and theirresource needs. This step uses information from the rapid assessment to describe a summary baseline development path, and to create a qualitative and, where possible, quantitative model of the local economy and its resource needs, both currently and in the future, again based on the PDPFP, on recent underlying economic trends, and on other plans, public and private, as available. The summary baseline development path includes a summary listing of programs and projects likely to be incorporated in the path, and an assessment of the majorresources expected to be used, in the major—now and/ orin the future—economic sectors. A number of metrics orindicators, quantitative and qualitative, are chosen and used to characterize the baseline development path. These metrics are also used to characterize and evaluate alternative, or CRGG, development paths in Step 6. Assessment includes two steps. Step 4 involves assessing provincial hazards, impacts, and vulnerabilities. Hazards assessment investigates the potential effects of climate change hazards on economic activities and resources in baseline pathways, using existing climate change modeling results to create tools such as map overlays and narratives for use in identifying hazards. Impact assessment involves identifying the potential effects of climate change hazards on input to development pathways, that is, on the production base forthe economy, focusing, for example, on biophysicalresources such as water, and ecosystems, productive resources such as energy, infrastructure, and technology, and human and financialresources. Vulnerability assessment involves identifying the potential effect of climate change hazards on economic activities (production), with activities selected on the basis of their current and future economic importance. Examples of the sectors that may be included in a given provincial vulnerability assessment include agriculture, fisheries, industry, mining, forestry, tourism, and/or other important sectors identified during the rapid assessment in Step 2. In Step 5, green growth adaptation measures and options are identified and prioritized. Based on the outputs of Step 4 that identified key potential climate impacts on the baseline development path prepared in Step 3, Step 5 involves the creation of a “long list” of potential adaptation measures and options, based on options considered in otherlocations in the Philippines and beyond, then, working closely with an Advisory Committee of stakeholders assembled in Step 1, first adding any provincespecific options to the list, then condensing and selecting options from the list so as to identify priority adaptation options with strong economic development benefits forinclusion in an overall adaptation/ economic development plan. Action Planning and Implementation encompasses the final two steps in the Framework. Step 6 includes the preparation and evaluation, based on the metrics/indicators prepared for evaluation of the baseline path in Step 3, of one or more climate resilient development paths (“alternative” or“CRGG” paths) incorporating the priority adaptation measures and options selected in Step 5. Here again, the Advisory Committee plays an active role in helping to define the CRGG path or paths, in working with the Project Team to evaluate the effectiveness of the CRGG path(s) in meeting the adaptation/economic planning objectives,relative to the baseline path, and in selecting an “optimal” path to serve as the basis forfurther planning. The “optimal” CRGG path thus selected, and possibly an alternative path that might be preferable if underlying assumptions (for example, the impacts of climate change orthe evolution of the economy) are different than expected, will include identified adaptation and revised economic development components—combinations of measures, programs, and projects, that are passed to the final step in the Framework, Step 7, implementing the selected climate resilient development path. Step 7 involves elaborating priority adaptation options as a part of an overall economic development/ adaptation plan, preparing detailed plans forimplementation of programs and projects included in the plan, including setting budgets, tasks, timing, and scale of programs and projects, and deciding upon how programs and projects will be delivered (implementation mechanisms). Once these plans are complete, the programs and plans are implemented. Following implementation, monitoring and evaluation programs assess the success of the adaptation/economic development programs and projects, and identify ways in which they can be improved. Step 7 also includes a focus on assuring that the plans are updated on a regular, periodic basis, so that the benefits of the CRGG planning effort are retained and built upon overtime in the Province. The Global Green Growth Institute (GGGI) is grateful to have collaborated with the Climate Change Commission (CCC) of the Government of the Philippines in completing the final report on the Climate Resilient Green Growth (CRGG) Planning Framework. The technical team composed of individuals from GGGI and the Stockholm Environment Institute (SEI) have worked together toward completion of this report: Yongsung Kim (GGGI), Chiden Balmes (GGGI), David Von Hippel (SEI), William Dougherty (SEI), Bernadette Resurrección (SEI), and Michael Boyland (SEI). Furthermore, much appreciation is extended to the following contributors: Joyceline Goco (CCC), Helena Gaddi (CCC), Alexis Lapiz (CCC), Harrier Tauli (CCC), Cari Espenesin (CCC), Hyoyoul Kim (GGGI), Rhoel Bernardo (GGGI), and Eryn Gayle de Leon (GGGI). In gaining valuable inputs regarding the applicability of the framework on the ground, GGGI is heavily indebted to the representatives of various agencies that composed the National Project Advisory Committee (NPAC) of the CRGG Project namely: the Department of the Interior and Local Government (DILG), National Economic and Development Authority (NEDA), Department of Trade and Industry (DTI), Department of Environment and Natural Resources (DENR), Department of Science and Technology (DOST), Department of Finance (DOF) as well as the representatives from the participating provinces of Palawan and Oriental Mindoro. This report was made possible through the shared leadership provided by Secretary Mary Ann Lucille Sering (CCC), Myung Kyoon Lee (GGGI), and Per Bertilsson (GGGI).